Team Captains from the 2018 Komen Greater Fort Worth MORE THAN PINK Walk are invited to join us at Ruth’s Chris Steak House for an evening of camaraderie and celebration as we begin our fundraising and team building efforts for the 2019 Komen Greater Fort Worth MORE THAN PINK Walk. In addition to hors-d’oeuvre, attending team captains will receive a raffle ticket to win a prize to use to help kickstart your team fundraising efforts! Admission requires a commitment to register for the Walk at the kickoff. Please RSVP by Friday, September 21. 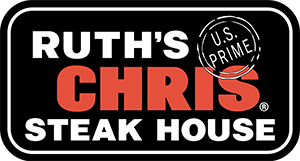 This event is made possible by generous support from Ruth’s Chris Steak House, Fort Worth.